The twentieth century saw the rise of a widespread but not very clearly defined group of reformers known as the progressives. (In 1912 and 1924 some progressives organized national Progressive parties.) The basic belief that united them was that the industrialized, urbanized United States of the nineteenth century had outgrown its eighteenth-century Constitution. That Constitution did not give the government, especially the federal government, enough power to deal with unprecedented problems. Progressive political theorists argued that government must be regarded as a living organism; that it must evolve along with its environment or die. The progressives targeted big business, whose economic power allowed it to dominate politics, enabling it to gain special privileges (such as franchises, monopolies, tariffs) and to avoid regulation for the public good (such as health and safety regulations). They held that it was necessary to regulate the national economy to counter the influence of big business. The first steps toward regulation came from Congress in the 1890s, which began to use its constitutional power to tax, spend, and regulate interstate commerce for purposes that lay beyond the Constitution. In the aftermath of the 1894 Pullman strike, Congress tried to promote labor unions as a way to balance the economic power of the railroads. (The Supreme Court struck down the labor-relations provisions of this act in 1908.) Congress began to use the taxing power not to raise revenue but for regulatory purposes. At the behest of dairy farmers who wanted to drive a competing product, margarine, from the market, it laid a heavy tax on margarine. It then used the taxing power to stop the manufacture of dangerous phosphorous matches, and to control narcotics. It also acted to prohibit the interstate shipment of things that nearly everyone condemned—lottery tickets, diseased meat, other impure foods and drugs, and obscene literature (including information about abortion and contraceptives). In 1910 Congress made it a crime to transport women across state lines “for any immoral purpose.” This law, the Mann “white slave act,” was aimed primarily at commercial (and coercive) prostitution, but was applied more often to consensual and non-commercial sexual immorality. All of these acts amounted to what was called a “federal police power,” regulating matters of public health, safety, welfare and morals that had been traditionally left to the states. Roosevelt was a moderately progressive president from 1901 to 1909 and would run as the head of an independent Progressive party in 1912. 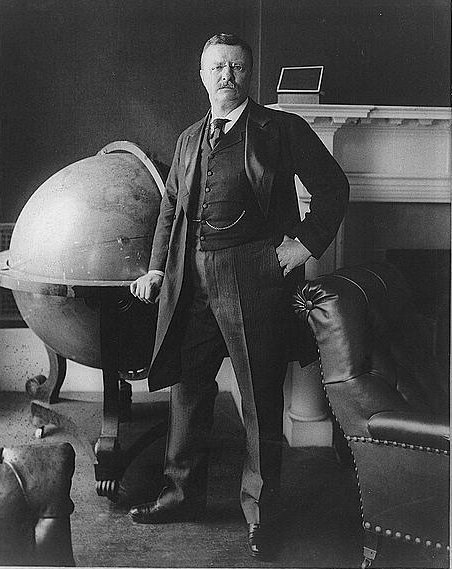 Progressive political theorists placed greater hope in presidential than congressional action, and Theodore Roosevelt set the tone for the modern presidency. Roosevelt was a moderately progressive president from 1901 to 1909 and would run as the head of an independent Progressive party in 1912. In his view, the president could do anything that the Constitution did not expressly forbid. This alarmed the more conservative leadership of the Republican party, which had, like their Whig forebears, regarded the legislature as the predominant branch in a republican government. He thus intervened in a national coal strike in 1902, launched loud rhetorical attacks on big business, and was actively involved in shaping legislation. Above all, Roosevelt promoted the progressive idea that policy should be made by expert administrators, scientifically trained civil servants who would be above politics. This idea led to the creation of a Department of Labor and a Bureau of Corporations. The federal judiciary lagged behind the other branches in embracing progressivism. Though it accepted most progressive legislation at both the federal and state levels, it continued to believe that the Constitution limited Congress to the exercise of enumerated powers, that most regulatory power (the “police power”) belonged to the states, and the due process clause of the Fifth and Fourteenth Amendments protected fundamental rights from infringement. But it accepted as legitimate doubtful opinions that legislators offered—that margarine was a dangerous product, or that segregating the races was necessary to prevent race riots. A new generation of judges, educated in new law schools, brought a different jurisprudence into the twentieth century. Oliver Wendell Holmes, Roscoe Pound, and Louis D. Brandeis all embraced the idea of a “living Constitution,” of law and a Constitution that would evolve in response to social and economic changes. The socialists among them saw law as simply a tool of the capitalist class, and sought to turn it into a tool of the proletariat, or working class. Before the presidential election of 1912, Theodore Roosevelt formed an independent Progressive party because he considered his successor as president, William Howard Taft, as insufficiently progressive (though Taft considered himself a “progressive conservative”). This schism in the Republican party paved the way for the election of Woodrow Wilson, who had had a long career as a progressive political scientist and was also critical of the Constitution. Wilson’s legislative agenda, known as the “New Freedom,” included several pieces of economic regulation. He gave the U.S. the equivalent of a central bank in the Federal Reserve Act of 1913. This was a significant delegation of Congress’ monetary powers and made the ensuing century one of marked inflation (the century prior to 1913 had been marked by deflation). Congress also established the Federal Trade Commission as a means of “regulating competition” to protect small businesses. Shortly after the Sixteenth Amendment authorizing the income tax was ratified, Congress enacted a “progressive” (higher rates on higher incomes) income tax. Wilson went further when he sought re-election in 1916, embracing measures that he had previously said were unconstitutional, such as loans to farmers and a prohibition of the interstate shipment of goods produced by child labor. He also got Congress to impose an eight-hour day for railroad workers at the behest of their unions, who then threatened a strike on the eve of American intervention in World War I.
Wilson went further when he sought re-election in 1916, embracing measures that he had previously said were unconstitutional, such as loans to farmers and a prohibition of the interstate shipment of goods produced by child labor. World War I brought about the greatest concentration of federal power and economic regulation in American history, far greater than that of the Civil War. The top income tax rate rose from 7 to over 70 percent, and many more Americans paid income taxes. The Federal Reserve dutifully served the Treasury by keeping its borrowing costs low. The federal government took over the railroads and established a virtual command economy over industry and labor. It prescribed the eight-hour day, promoted collective bargaining, and controlled prices. After the war came a popular reaction, a desire to return to what the new Republican President Warren G. Harding called “normalcy.” Though usually depicted as a return to isolationism and laissez-faire, the supposedly pro-business 1920s did not repeal the preceding progressive era. The Republicans curtailed but maintained many progressive innovations, like the income tax and the Federal Reserve bank. They continued most of the prewar “grants-in-aid” programs, by which Congress got the states to pursue policies that were held to be beyond the federal government’s power, such as building roads and schools and promoting maternal and child health, by proving matching funds for them. While the railroads were returned to private ownership, they were now a federally-regulated public utility, and the government provided for the promotion of unions in the Railway Labor Act. 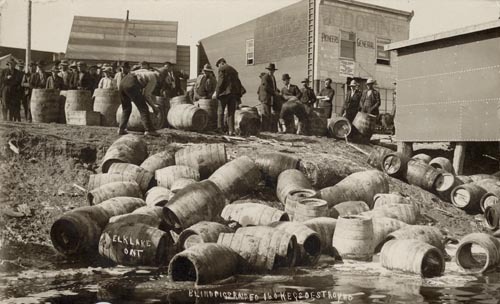 Prohibition (secured by the ratification of the Eighteenth Amendment in 1919) abolished in law one of the largest industries in the country and set the federal and state governments on course to the most ambitious effort by the federal government to police morals in American history. Herbert Hoover was the most important progressive of the 1920s. He had been a supporter of Roosevelt’s Progressive party in 1912. He initiated many campaigns to regulate the economy as Secretary of Commerce under Presidents Harding and Coolidge. Hoover endeavored to use the federal government to promote voluntary cooperation among American businesses, to eliminate wasteful, “cutthroat” competition, to establish industry standards, to promote fledgling industries like radio, and to save declining industries like coal. Hoover called this the “New Individualism,” which would help America avoid laissez-faire capitalism and socialism or fascism. When the Great Depression began, shortly after his inauguration as president, Hoover took unprecedented steps to alleviate the crisis. The most significant of his measures against the depression was the Reconstruction Finance Corporation, which provided assistance to prevent the failure of banks and utilities—what would later be called “bailouts”—rather than letting the market liquidate failed enterprises. But Hoover was unwilling to use the power of government to impose direct controls on business, or to provide direct relief to the many unemployed. 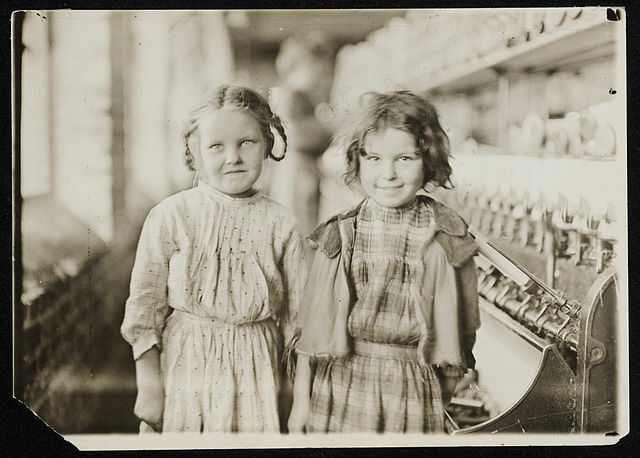 In the years between the great depressions of 1893 and 1929, the federal government took its first steps to regulate the industrial economy that had grown up in the nineteenth century. These steps were guided by the ascending progressive political philosophy that saw the Founders’ Constitution as outdated. Under Presidents Roosevelt and Wilson especially, Congress’s power to tax, regulate commerce, and spend money was expanded in order to shape the American economy rather than allow it to shape itself. The period also saw the expansion of new “administrative” agencies, as they were called, neither executive nor congressional, and so insulated from popular electoral control, such as the Interstate Commerce Commission, the Federal Reserve Board, and the Federal Trade Commission. Most Americans remained reluctant to make fundamental changes in their political and economic systems, and did so only under the duress of crises like the First World War. It would take the Great Depression of 1929 to make Americans accept a fuller variety of progressive reforms.